This dress is a part of our At Home Try-On collection of sample dresses! To try the Bailey bridesmaid dress on at home, you can choose from the sizes and colors available to help decide on the perfect style and size for you. 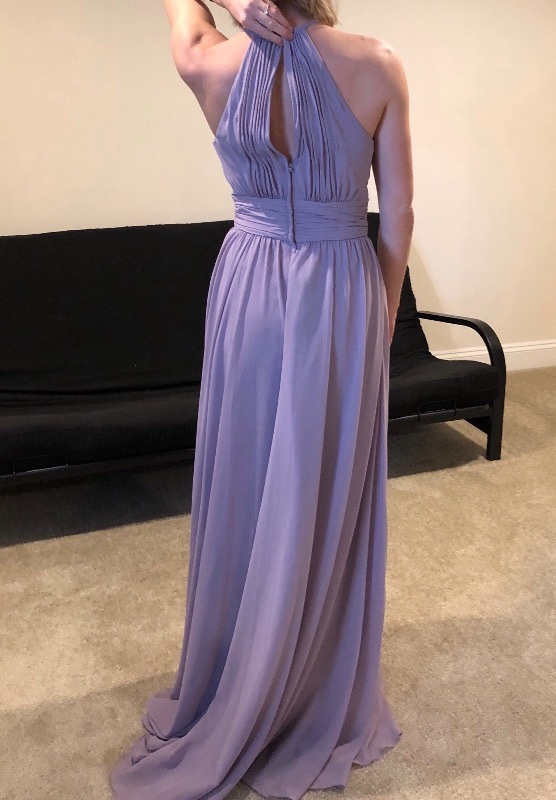 The try-at-home dress was delivered in just a few days, I was able to try it on and sent it back within 24 hours! I would recommend taking advantage of this because sizing can be difficult to judge, and now I know what size to order the actual dress in and what alterations will need to be done. The only negative part was that the sample dress comes loose in a cardboard box so it was kind of dirty upon arrival. Also, there was no hook and closure on the sample I received (broken) so I couldn’t really see how the neck part will look. The dresses should be inspected closely before being sent out.